In the late nineteenth century the borderlands between the United States, the British Empire in Canada, and the Asia-Pacific Rim emerged as a crossroads of the Pacific world. In Pacific Connections, Kornel Chang tells the dramatic stories of the laborers, merchants, smugglers, and activists who crossed these borders into the twentieth century, and the American and British empire-builders who countered them by hardening racial and national lines. But even as settler societies attempted to control the processes of imperial integration, their project fractured under its contradictions. Migrant workers and radical activists pursued a transnational politics through the very networks that made empire possible. Charting the U.S.-Canadian borderlands from above and below, Chang reveals the messiness of imperial formation and the struggles it spawned from multiple locations and through different actors across the Pacific world. Pacific Connections is the winner of the Outstanding Book in History award from the Association for Asian American Studies and is a finalist for the John Hope Franklin Book Prize from the American Studies Association. Kornel Chang is Associate Professor of History at Rutgers, The State University of New Jersey, in Newark. “Pacific Connections is a shrewd, fascinating, and cogent examination of a Pacific Northwest borderland often taken for granted as a peaceful but inconsequential meeting point between two friendly nations. Chang shows instead how it has been a violent point of contention, shaped by empire and Anglo-American aspirations to hegemony, migration and ubiquitous racism, the creation of boundaries through state formation, and the transgression of those boundaries by the mechanisms of capital. Sharply written and deeply researched, this book brings the Pacific Northwest into both the history of the Pacific World and the literature on borderlands that has until now focused largely on the U.S. and Mexico. Pacific Connections is a brilliant achievement.”—Bruce Cumings, author of Dominion From Sea to Sea: Pacific Ascendancy and American Power. "This wonderful book combines impressive archival research with a strong grounding in migration studies, political economy, cultural studies, and critical race studies. Chang examines weighty questions through compelling human dramas set in far-flung places across the Pacific Rim. This is transnational history at its best. "—David Roediger, coauthor of The Production of Difference. "Kornel Chang grapples with big ideas and big questions. Tracing the global movements behind racial and national borders and unraveling the messy contradictions of empire at the dawn of the twentieth century, Pacific Connections explores a history that continues to haunt us, with particular resonance in our current moment. "—Moon-Ho Jung, author of Coolies and Cane: Race, Labor, and Sugar in the Age of Emancipation. 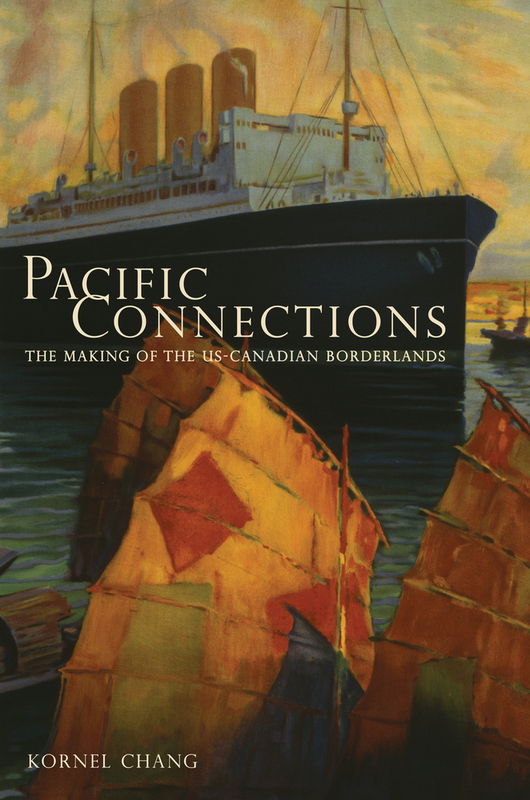 “Pacific Connections is a capacious study that recasts the U.S.-Canadian borderlands as a crucial site of migration, trade, and exclusion within the formation of Pacific empire. Chang shows how Chinese merchants, Japanese and European migrants, indigenous traders, Anglo labor activists, and both South Asian and white radicals played important roles in the negotiations of sovereignty.”—Lisa Lowe, Professor of Comparative Literature, University of California, San Diego.